Excel 2016 maintained the same look and feel of Excel 2013. 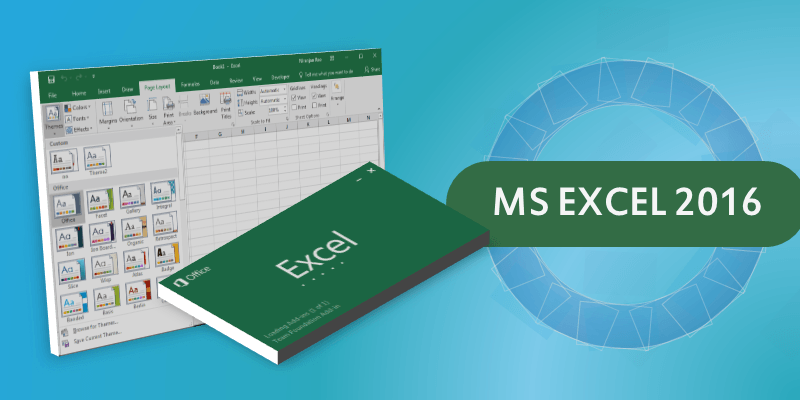 Microsoft introduced many new features in 2016 version of Excel. Tell me what you want to do: Now you can quickly search the commands. New charts types are introduced in in 2016 version of Excel: Histograms and Pareto charts, Sunburst charts, Waterfall charts, 3D data maps. Office 2016 now supports SVG images and new Pen/ink tool is introduced in Excel 2016. And now you can subscribe to MS Office yearly plans, so that you can always have an updated and latest version of the Excel running your systems. No change in number of Rows and Columns of Microsoft Excel spreadsheets. Now Excel 2016 is limited to 1,048,576 rows and 16,384 columns. So, we can enter the data in maximum of 1,048,576 records and We can have maximum of 16,384 Fields in 2016 version of Excel. And Open workbooks can be Limited by available memory and system resources of the user. From 2016 version of Excel maintained the same file formats of Excel 2007, 2010 and 2013. Here are the most commonly use Excel File format. .xlsx Excel File Format: This is the default Excel File format, when we save the file in Excel 2016 this will save as .xlsx file format. This is the normal spreadsheet to save the data, formulas and not Macros. .xlsm Excel File Format: This is Excel Macro File format, we need to save the Excel file with Macros in .xlsm format in Excel 2016 and above. The default file format (.xlsx) does not save the Macros. Microsoft is rapidly developing its Online version of the MS Office suite. There are many new features implemented and addressing all performance issues of online version of MS Excel. Formulas in in 2016 version of Excel: Excel 2016 formulas helps the user to perform calculation in the cells of Excel sheets. Filtering in 2016 version of Excel: We can filter the data in Excel 2016 using Data Filter tools from Excel Menu. ListObjects, PivotTable, Charts: We have many tools in Excel 2016 for Visualizing the data. We can use Tables, PivotTables and Charts Objects to order, summarize and Visualize the data.